Vendor Name: See history at its best, Golden Prairie Press. Originally written in the early 1900’s, Amy Puetz has edited this book to make it easier to read for modern audiences, this book is going to become a treasured read aloud for our family for a long while. Even my son has enjoyed listening to the stories, so much so that I’m thinking I’ll have to get the boy’s version of this book as well! Each story varies in length, some are longer than others – and some I’ve had to divide into two separate readings. I use this when our school is done and we want to do something but it’s too hot to go outside and I don’t want the children on the computer. So far our favorite has been the story of Molly Pitcher, while there is mention of her life after her husband died and her time of service I would have liked to know more about her life when she was re-married. Some of the wording and grammar is still slightly dated so there were times I had to slow down in my reading so that all my children understood what was going on, but otherwise it kept their attention, even getting some groans when I stopped. The book is 238 pages and there are no illustrations, but the descriptive, living book nature makes it easy to picture the scenes in one’s mind. While it’s geared for ages 10 and up, all three of mine, ages 10 and down enjoyed it and it’s not just for girls since my son also enjoyed listening to me reading it aloud to the family. I was given the e-book version and it was great to just pick up and go and there were no formatting issues that I observed and I could pick up right where I left off with the virtual bookmark. 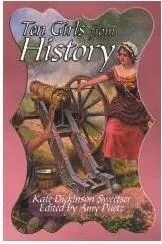 If your just looking for a way to inspire Godliness in your girls and have them be inspired to do great things this book will help in that regard or if you just want a living book for some great history that seems to jump off the page, then Ten Girls from History is the place to look. If you’d like to see what other homeschool parents had to say about Golden Prairie Press products visit the Schoolhouse Review Crew blog. 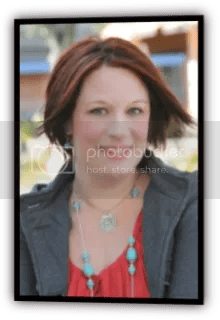 I’m an indie author, web publisher, blogging, digital publishing, and social media consultant, and I am a small business owner but my favorite job is being a wife to Ryan and mama to my four, rowdy boys! You know the woman – all Christian women want to be like her but yet can’t achieve it? The Proverbs 31 woman. Her. Many books have been written on her, sermons have expounded and extolled her virtues – making many of us ladies who just don’t measure up to her feel guilty and less than. When I rededicated my life to Christ, I fell in love with the idea of being the Proverbs 31 woman – the idea of waking every morning before my family making a hearty and healthy breakfast, making all our clothing, well I failed, miserably. 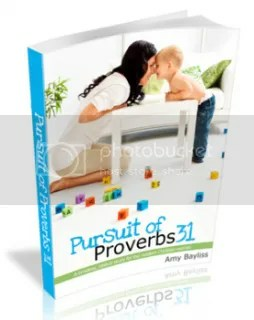 In Amy’s book she helps us ladies see that God didn’t put the Proverbs 31 lady in the Bible to make us feel bad or unworthy – she is what we can aspire to but He knows that none of us will measure up. Some say this was a poem written by Solomon’s mom in what she wanted him to have in a wife, there are speculations this woman didn’t even exist – and here we are trying to emulate her? I still sleep in, sometimes even my husband is gone before I rise, I’m a full time mom, homemaker, wife and homeschooler – I’m tired. Amy has several ways she recommends we use this book – just read it all the way through then pray over what sections you need to focus on, go in order forming a small group to study with and be held accountable – or how you see fit. As you read each chapter it’s assignments are divided into essential, useful and bonus which will help you in tailoring what you are able to do, and this may vary from week to week or even day to day. First and foremost begin the study with prayer – the chapters end with focused thoughts about what was just read, memory Scripture, then the assignments of which you decide based on the Spirit’s leading to complete. If you’re a woman who struggles with what the world wants versus what you know what the Lord wants from you, this is a great way to begin delving into that search and gaining from Scripture what the Lord wants from you as His daughter, His princess. Regardless, if you can’t sew at all, if you like to sleep in, and you can’t go out a buy a field, the Lord still loves you, your husband can still call you blessed. This study will make you feel good about where the Lord has put you and with the gifts He’s bestowed upon you, whatever they may be. **Disclaimer: As a member of the CWA Review Crew, I received this e-product, at no cost to me, in exchange for my honest review. All opinions are mine. Overcommitted and overwhelmed, Julie Charlton is at the breaking point. She knows she should feel blessed as a mother and wife–but she just feels exhausted. And then, the miraculous happens. Her sister-in-law Susan, a Martha Stewart-in-training, lands the chance to participate in a reality TV series about trying to live like the Amish and needs another family to join her. It’s just the break Julie needs. But the summer adventure in simple living soon proves anything but simple. With the camera watching every move, Susan’s drive for perfection feels a lot like what they left behind, while Julie suddenly finds herself needing to stand up for slowing down. Whether it’s cooking, cleaning, or dressing differently, each new Amish challenge raises new complications… and soon each woman learns unexpected lessons about herself and her family. 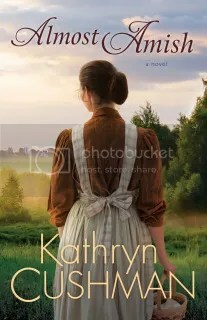 If you’re like me you’re getting tired of the same ‘ol same ‘ol in regards to the plots involving typical Amish fiction – this is such a breath of fresh air, while it does involve Amish to some extent they aren’t the entire focus. I’d welcome the change to get to live for 3 months in Amish country and try to live ‘simply’, but as we all find out at one point being Amish isn’t simple – it’s hard work. Enter in sister-in-laws who agree to become a part of a reality show on how to live more simply – like the Amish – Susan has some ulterior motives that her sister-in-law isn’t privy too and it really has the reader disliking Susan, not to mention how she treats those around her. I really enjoyed this book and would love to see a second follow it up on how the families readjust and implement the things they learned more in depth than just an epilogue. The characters were deep and not at all one dimensional which added to the overall story – it felt great to see how they grew and didn’t stay stuck in their negativity, which is also a change from a lot of Christian books today where the characters always revel in their negativity. If you’re looking for a book with strong characters, strong plot line and something that can be proud to be called Christian, this is it. **Disclosure: I received a copy of this book from Bethany House Publishers in exchange for my honest opinion, no other compensation was given. Can Christians Be Political Activists without Hating Each Other? As the next presidential election comes into view, Americans are deciding where to stand on key issues. The church has often been as politically divided as the culture, but Charles Drew offers an alternative for people who care deeply about their faith, about Christian harmony, and about the church’s calling in the world. In this updated and revised version of A Public Faith (NavPress 2000), Drew helps Christians develop practical biblical convictions about critical social and political issues. 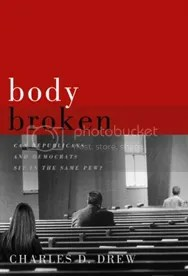 Distinguishing between moral principle and political strategy, Body Broken equips believers to maintain the unity of the church while building their political activism upon a thoughtful and biblical foundation. Drew helps Christians of all political persuasions understand how to practice servanthood, cooperation, and integrity in today’s public square. The book can be purchased at New Growth Press. I must say when I began reading this book that I was thinking the author would be telling me that I had to vote, or had to be politically active – but that wasn’t the case at all. I liked that the author let the reader make up their mind based on conviction from the Lord – how we approach our political bend – without making either side, political or not, feel belittled or elevated. I’ve seen how political divides churches, friends and families – and when it happens within the church it not only hurts us but it’s a grave sin against the Lord. Can I disagree with a fellow Christian who doesn’t believe abortion is murder? Yes. Oftentimes though our words turn to swords and they hurt and maim and, for or against, the words we issue forth can rip a person’s faith. Using Scripture and historical analysis for his book gives him some solid ground to stand on. 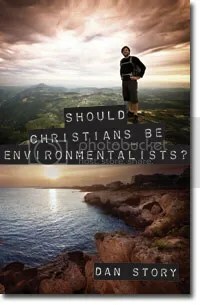 With not getting to personal – I don’t feel led, as a Christian, to enter into the political world and I don’t agree with the statement “to not vote is to vote” (research our voting process) and while we still have to help promote a Christian world view it doesn’t always have to be through political means. If you’re a die hard politico or if you’re a Christian who prefers to do things through other avenues, this book will have you evaluating your beliefs and either become stronger in them or having you rethink them in context of Scripture. Sometimes it was a bit heavy and it took me awhile to get through some chapters, and I made the mistake of reading some before bed – do not do this – some things will get lost between sleep and waking. I liked the conversational tone and his personal experiences especially the one where he decided after much thought and prayer, that the flag does not belong on or near the pulpit and it was moved to the back of the church. This met with resistance – but I’m glad he took this stance, as a Navy Vet, it’s hard to come to my convictions as everyone expects you to be pro-America, pro-flag, pro-voting and pro-politics but that isn’t where my allegiance lies, it lies with Christ and His Kingdom then I am American second. 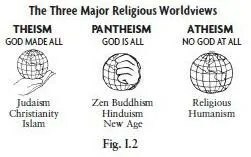 Do I agree with everything in this book? No. However, the things I disagreed with were minor compared to what I do agree with. **Disclaimer: I was provided a copy of this book through B&B Media in exchange for my honest opinion, no other compensation was given. While the school buses are rolling and taking children to school and other homeschoolers are just beginning, by the end of the week we will have completed 10 weeks of our school with 38 days. We began in May taking time off for 4-H camp and college for kids courses, but we are still ahead. That means a rough estimate of 190 hours completed – but doesn’t include the hours spent at the college for kids (which amounts to about 20 hours for each child, individually), my daughter’s dance camp which was 25 hours, my son’s 1 hour 2 times a week martial arts class and of course field trips, and other ‘educational’ hours. We have recently started our 2nd quarter of Mystery of History Volume II and are about a week ahead in our science! While not every day goes as planned – there have been some melt downs here or there, but overall the children have been chugging away at school. I’ve been somewhat remiss in doing their science experiments but they didn’t have interest in collecting and preserving bugs and I didn’t have much interest in collecting my own ants – so we’ll probably order an ant farm soon. Regardless, they are of course still learning. 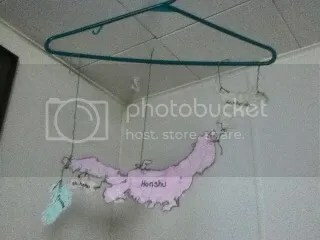 Hannah with our mobile map of the islands of Japan for a MOH mapping activity. I spotted this little guy today when I went out to close my composter lid – it actually rained today! 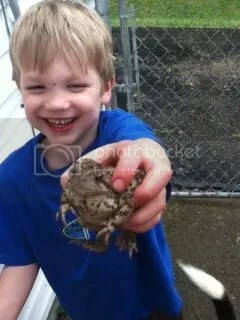 My son just had to pick him up – he loves picking up frogs and toads. We never get them in our yard so this was a first and it was very exciting. 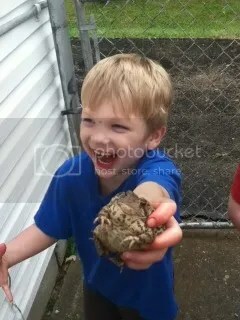 Christian holding the toad up for his sister inside. The dogs were much too interested so we put him outside the fence and he hopped away. 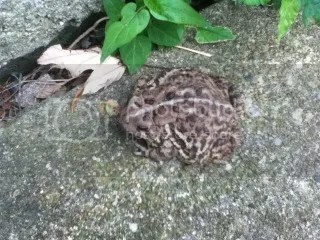 My son thought it the funniest thing when the toad peed on him! I’m estimating that if we keep up the same pace in science that we will be finished in the first week of January and we’ll move right into Swimming Creatures. The goal being to have Hannah through all the Apologia Elementary Science minus the A&P before I have her move on to middle school work – but since the General Science is recommended for 7th I may still have her complete the Elementary A&P first. We’ll see. We will also be wrapping up Volume 2 of Mystery of History about the same time! I must say I like this year round school idea! This also includes time off for Thanksgiving and Christmas. We may have to slow things down with Volume 3 since Volume 4 hasn’t been released and it may not be for another year yet or we’ll have to cycle back through starting with Volume I and adding in American History for Hannah. Again we’ll see where the Lord leads. 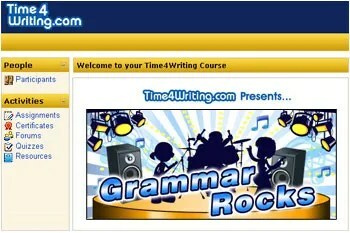 Time4Writing is an online eight week e-course that is taught with a certified teacher, one on one with your child. There are many classes available for elementary, middle and high school. I wasn’t sure what to expect when I logged my 3rd grade daughter in for the first time but I was very pleased with the ease of maneuverability around the site as well as the ease in accessing the class. Her eight week course of which she has completed a little over six, has been a fun and great experience in using an online class to aid in her grammar lessons. There is a short lesson for the auditory learner the student can listen to it and read along at the same time, a visual learner can watch the lesson (we didn’t get to do this as our computer issues had it streaming too slow, but this is not Time4Learning’s fault), or they can just read it. My daughter preferred to have me read it to her and I would explain any concepts that she had a hard time understanding or needed clarification – of course it’s meant for the student to do on their own but if your child isn’t a strong reader and you can’t watch the video it can still work with your helping them read the material. After reading, watching or listening to the lesson the child can go on to the practice part, usually a game is given first and the child is instantly told if their answer is correct or not. The games can be replayed, if so desired to make sure that they are retaining the information learned in the lesson. There are writing assignments that the child completes, one that my daughter did was to fix run-on and incomplete sentences that are on the screen. My daughter then types in the box below and submits the answers to her teacher and personal feedback is given within 24 to 48 hours, sometimes faster depending on the time of day she submitted her work. My daughter looked forward to the feedback coming back and was so happy with the way the teacher gave her corrections on work that was incorrect. 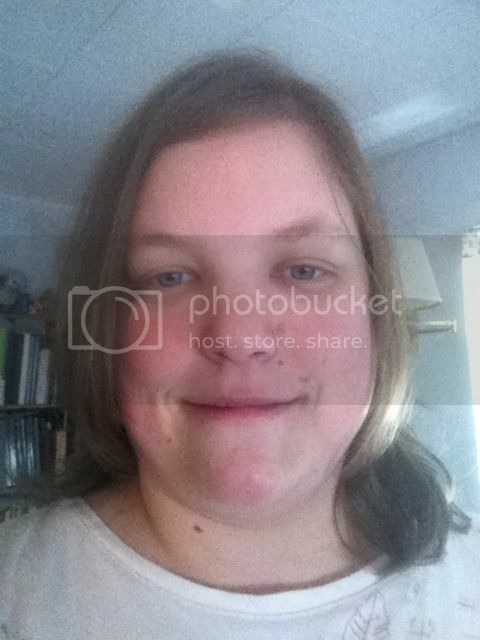 I must say that in regards to the typing – I too helped my daughter as she is not a proficient keyboard user and became easily frustrated by the time it took to hunt and peck. I would type while she gave me the answers – all the work was her own except for the typing. Again, if your child is proficient in typing they can do this on their own but that wasn’t an option for us. There are also quizzes which are graded on the spot and they have two chances to take the quizzes. I liked that I could look in at her grades as well as the feedback received from the teacher or see only her grade which right now is at a 90.31! At the end she’ll received a course completion certificate which we will display in her school portfolio and will count towards her language arts. Overall, I’m very impressed with this program – would I pay $99 which equals to about $12 a week for one student? Probably not, I can definitely see this being an option for a family that has the resources for the fee or whose child really needs help that the parent feels unable to provide – however I rarely spend this amount on one child for one year of school. I must also say that for my readers who do not recognize Halloween or participate in trick or treat there is mention in one assignment of Halloween being a holiday. I felt that my daughter has and is learning quite a bit from using Time4Writing’s Grammar Rocks and it’s been away to break up the school day with something fun and interactive. 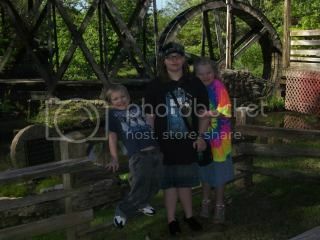 To see what other homeschooling parents thought visit the Schoolhouse Review Crew blog. I couldn’t wait to begin reading this book with my children, as I love the old hymns and prefer them to the contemporary style that seems to permeate most churches today when it comes to praising and worshiping the Lord. I feel that when we are worshiping that we need to do so in a respectable and honorable manner, especially in a group – however most young people today prefer the more contemporary and fast moving music over the historical and deep theological hymns. So I appreciate the effort of the author, Douglas Bond as well as Christian Liberty Press to get a book, this is the first in the series of four, that helps to instill a sense of pride in the Christian hymn writers of old. I used the book as a read aloud with my three children, while the recommended grade is 7th through 10th I definitely see it as more geared to 1st through 4th or 5th grade. The writing was not what I personally would want my middle/high school student reading, as it’s more simplistic and I’d want them reading something with a little more substance. It was engaging though for my three children and the reading went smoothly, although some things were a bit dated – such as the use of a personal compact disc player (I got one of these when I graduated high school in 1997). I and my children enjoyed the pictures which showed the ladies and girls and the men and boys dressed modestly even if it might be seen as unfashionable – I appreciated this. Annie and Drew, brother and sister, are on a vacation and their mom is briefly mentioned as being too busy to be around too much (if I remember correctly she was doing research?). The children wander the streets of Olney, England and meet up with Mr. Pipes who watches over the children, even though they just met him there is no qualms about the children being with him, and he teaches them about some of the great hymn writers. Charles Wesley, Thomas Ken, John Newton, women hymn writers and more – at the conclusion of most of the chapters there is some music with words so that they can both be played and sung. Like most books, there are some things I don’t completely agree with but overall, this is an excellent way to introduce children to the world of the wonderful hymns that are available to the church. As they read they won’t see the hymns as some old and staid song, but something that relates the Gospel to us in a form that we can all relate to, song and word. Hymns carry the Word of God to the masses and weave the Gospel and history of Christianity in a way that modern music cannot do today, and thankfully we have books like Mr. Pipes and the British Hymn Makers to get our children interested in these great songs. There is a section of listed books if you or your children wish to further their study on hymns or those who wrote them – which would be good for the older student who needs more meat after reading this book. 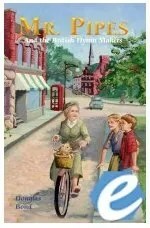 Visit the Schoolhouse Review Crew blog to see what other homeschooling parents though about this book. Inspired by the biblical story of the feeding of the 5,000, “Live to Give” delivers a message of hope that we all have something to give. Written in the down-to-earth, candid voice of the gifted young man who as a kid founded a relief ministry that has saved and improved countless lives in Africa, “Live to Give” is the message that every teen needs to hear: You are more special than you know, and you can do big things. You can buy the book at Thomas Nelson. As founder of Hoops of Hope, Austin started what is now known as the worlds largest Free-Throw marathon. Austin’s Hoops of Hope has raised more than $2.5M to help orphan children in Africa. 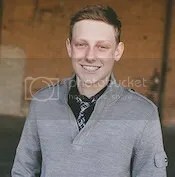 Austin also serves as Co-Chair of Arizona Governor Jan Brewer’s Youth Council. As a highly sought after speaker, Austin has spoken and shared his heart in venues around the world. In 2009, Austin was selected into the Caring Hall of Fame as one of the top 10 most caring Americans. Austin’s first book, “Take Your Best Shot” shared stories that captured readers hearts and won a Moonbeam Award. For information on booking Austin or general inquiries, please visit austingutwein.com. If you’re an adult reading this prepare to have your eyes opened – especially if you’ve become complacent in your life. To know that a 9 year old started his own charity and has gone on to much bigger things all in the name of serving the Lord makes me feel – well small. I’m going to make sure that my 10 year old reads this book as she always wanted to open up a ‘free’ grocery store, her idea is that “poor” people could shop like the rest of us without feeling embarrassed by not having money. Suffice to say my children want to make a difference and their heart is with the less fortunate in our community – where as mine has always laid in China and Africa. I really liked the fact that Austin made sure that the teen reading this learns how to discover their spiritual gifts and he wasn’t shy about what is a spiritual gift. Recommending the child first go to their parent (assuming that the child’s parent(s) are Christians) and then to others like the Pastor and other trusted adult friends and/or family. The only thing I found myself disagreeing with was his take on bullying – bullies are bullies and while some victims may be those who do service acts – not all are. 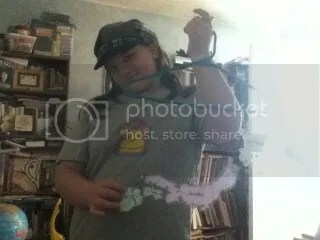 I was bullied in middle school (I did do candy striping) but as it continued into high school and I was no longer volunteering time and around a new set of peers it had nothing to do with my service. Bullying is a complex problem and can’t be discussed or solved in one chapter – and most people feel that getting an adult involved will solve or help the situation when most of the time, it makes it worse. Whether your child already has a heart for serving others or hasn’t yet discovered what they think they can do this book will help you and them discover how to be of service to others like Jesus served. It doesn’t have to big like starting a charity, it can be small, buying a meal for a homeless person or go big and get the family involved in an overseas mission trip. This book will be a starting point for the teen who wants to know how to serve instead of being served. To see what others thought about this book visit the Litfuse blog tour page. **Disclaimer: I was given an e-copy of this book from Litfuse Publicity in exchange for giving my honest opinion, no other compensation was given. “Get and Give” Campaign! Win a Kindle Fire from @AustinGutwein and have $250 donated to the Charity of your choice! 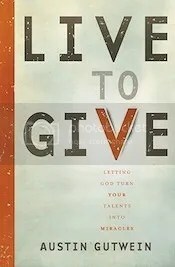 Austin’s new book Live to Give is about “Letting God Turn Your Talents into Miracles”! Celebrate with him by entering his “Get and Give” Campaign – you could win a Kindle Fire for yourself AND Litfuse will donate $250 to the charity of your choice! 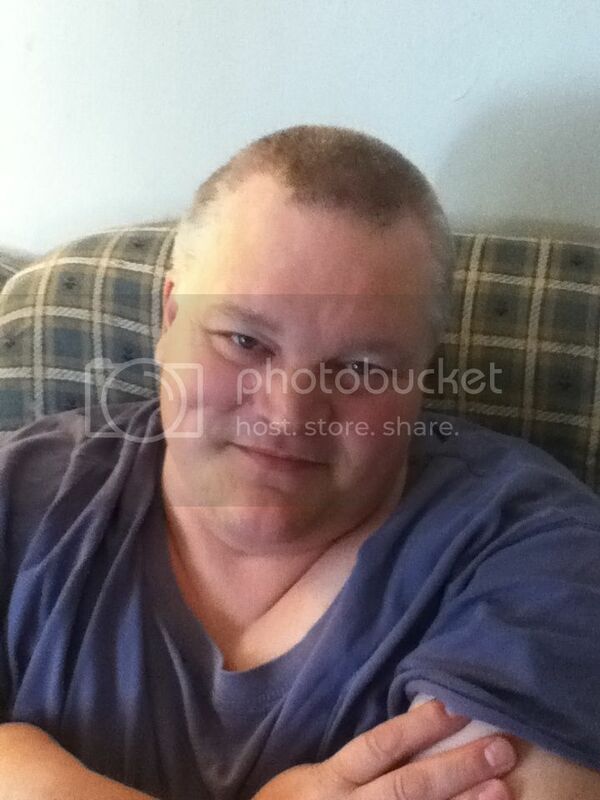 Just click one of the icons below to enter. Tell your friends about Austin’s giveaway on FACEBOOK or TWITTER and increase your chances of winning. This is probably the first review for the Schoolhouse Review Crew that I am unsure as how to write it. I wish I could just say this book is great and tell you to go buy it – but I can’t. This book is deep – I haven’t actually finished it because it’s deep and it does take some thought to read this, so it’s not a book you can leisurely read in bed before falling to sleep – unless you want to re-read everything in the morning! 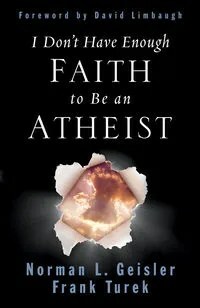 Written by Norman L. Geisler and Frank Turek this book aims to give Believers the knowledge to defend their faith, like Jesus did, with humbleness and love. The book is written for the high school or adult who wants to know more about the whys and how to defend their faith with knowledge and is written in an engaging style that while deep, also keeps ones attention as they read it. With chapters such as: ‘In the Beginning There Was a Great Surge’, ‘Miracles: Signs of God or Gullibility’, ‘Did Jesus Really Rise From the Dead’, and more this book will give us a reason for our faith. 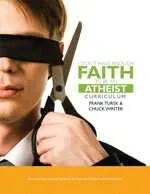 In a world filled with anti-Christian rhetoric such as there are no moral absolutes, evolution, and evil this book belongs in the hand of every Believer. Even though I’m not done reading it yet, I have not found anything that goes contrary to the Bible – which is more important than any doctrine espoused by a church. Weighing this book against the Bible and it stacks up with what some Christians still believe today – God created the Earth and everything in it in 6 days and rested on the 7th, Jesus did rise from the dead, miracles were performed and witnessed, and more. There are times I have found myself confronted with non Believer’s who try to tell me that the Bible is full of lies or how can I know that it’s true since it’s contradicts itself and would a loving God send thousands of people to Hell? Usually I have no come back – I know what I believe but non Believers don’t want opinions based on the Bible, they want scientific, hard facts that can be proven and I Don’t Have Enough Faith to Be an Atheist will equip me for that. If you or your high school student, like me, worries that they can’t possibly remember everything in the book, then the workbook may just be what you need to go along. You don’t have to be a high school student to work through this book either – it’s meaty enough for an adult who wants to know the reason we have for our hope. I am so glad they have a how to use this book to begin with – if I was handing this to my high school student (when I have one) they’d be able to read through it and work through this without much oversight from me, except to discuss questions and answers and grade tests. Look: suggested activities to help you discover the truth for yourself. Throughout the workbook are also short biographies of those who were either Christian or non Believers – these are inspiring in the fact that we can see how those who stood for Christ defended their faith and how those non Believers lived a life contrary to God and His Word. As you work your way through the book there will be tests that can be accessed for free on the Apologia website as well as the answers to the questions. This will be a long nine month journey but if you or your child comes out stronger in the faith then it’s been well worth it and one day you’ll hear, “well done”.